I'm currently a freelance audio producer for The Economist audio magazine. I've been a radio presenter on four FM stations, (back when FM was big), presented a radio show to an audience of over 100,000 listeners, hosted a weekend radio show to 20,000, and for nine years, I trained at The BBC World Service, Radio. I've also presented on way too many community stations and I've spent too many years nagging presenters to death! (It's a labour of love kiddies!) I love all things radio and presenting! On December 2nd 2017, I logged out of Facebook to recapture my life. we’ve made some major contribution to humankind. This is my TINY contribution back to humankind. Put simply, it's something I love doing. That man is an awesome motivator! Check him out at the bottom of this page. After five years of trying and five application forms to the BBC this was a very proud day for me. I was accepted and I passed my initial training. I stayed there for nine years. The motto is: Never give up. In December 2015 I completed my first course: "Discover The Secrets to Successful Media Interviews"
In March 2016 I finished my second course "The Under Priced Awesomely Made Radio DJ Training Course"
In October 2016, I created a "Fingerpicking for Guitar" course. Here students can learn twenty different ways to play guitar chords. 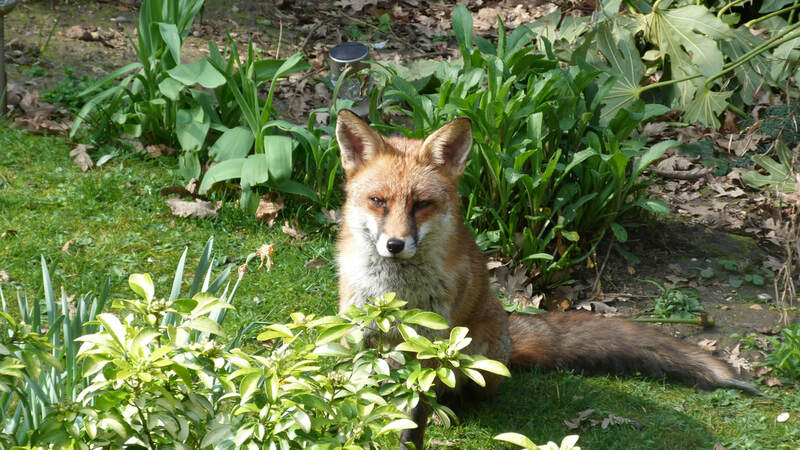 When I'm not drinking coffee or training volunteers for free, then I'm feeding foxes and squirrels in my garden. In 2014; I lived in Japan. Wow, that was cool! 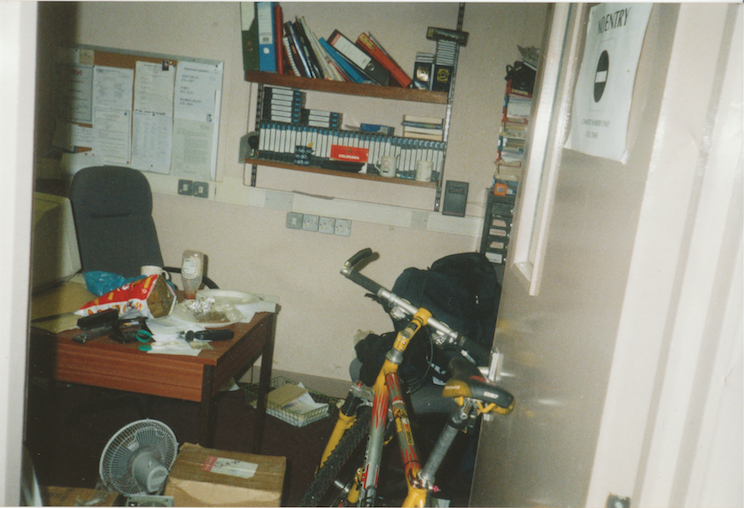 ﻿Old Radio Kings days down at Kings College Hospital. It’s January 1996, and one of my friends is presenting a radio show on a Danish FM station called Radio DÅB. She invites me down to the station, and I meet a presenter who invites me onto her show. Talking on the radio is an awesome feeling. I fall instantly in love with radio presenting. I ask the station manager if there’s any chance of doing some work experience for the station. Amazingly, I’m offered a weekly one hour show on a Tuesday night. The idea is to have three hours of 'young people's' radio from 7 pm to 10 pm. I get to have a one hour show in English. Wow! I now have my own FM radio show. I present the show for one year to an audience of 100,000 Danish people. I make some great friends, fall in love with the station's beer vending machine, and along the way, I make some dodgy radio that includes lots of mooing cow sound effects. It’s fair to say I have a lot of fun! I decide I want to learn everything there is to know about radio, so I enrol on a six-month full-time H.N.C. radio production course at Lambeth college. Because I’m unemployed, the course only costs me £30 / $47. In 2017, if you’re unemployed and over twenty-four, the course will now cost you £1,000 / $1,300. This is a disgrace. It's one of the main reasons why I set up the Online Radio School. 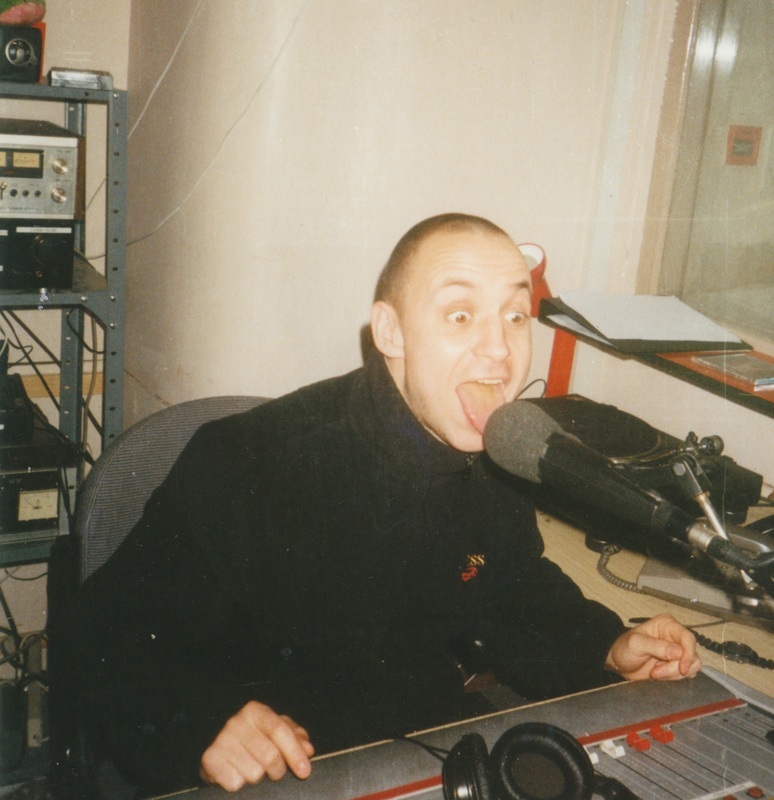 Meanwhile back in 1997, I love the radio course, and I fall in love with the role of being a “Studio Manager” (the person who works the mixing desk). Now I want to work for the BBC as a studio manager; however, I realise I also need more radio experience. I join Radio Kings, the hospital radio station for Kings College Hospital, South London. It's 1997, and I’m a twenty-six-year-old unemployed man with no university degree. 1998: 1st BBC Application to be a studio manager is sent in. Outcome: Application rejected. Not shortlisted for an interview. 1999: 2nd BBC Application to be a studio manager is sent in. Experienced gained: I over embellished the technical side of my application form. The BBC technical interviewer found this out. It was a massive lesson learned. I also realised that I could have prepared much harder for the main interview, which is where I believe I lost the job. I join FLR 107.3FM as a volunteer newsroom assistant. I stay for one year and try to build up newsroom skills. I end up presenting a Saturday morning radio show from 12 - 4 am on FM radio. At the same time, myself and a friend called Paul decide to present a comedy show for Radio DÅB in Denmark. We record the shows off air at Radio Kings and mail them weekly to Denmark. 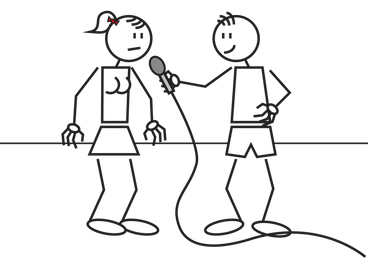 We co-present an FM radio show on Danish airwaves to 100,000 Danish speaking people… in English…..from London….via the mail! We do this for one year. It's pretty fun! 2000: 3rd BBC Application to be a studio manager is sent in. Experienced gained: Just keep learning as much as you can. Don’t let them grind you down. Meanwhile, I'm working very hard at being a hospital radio volunteer. 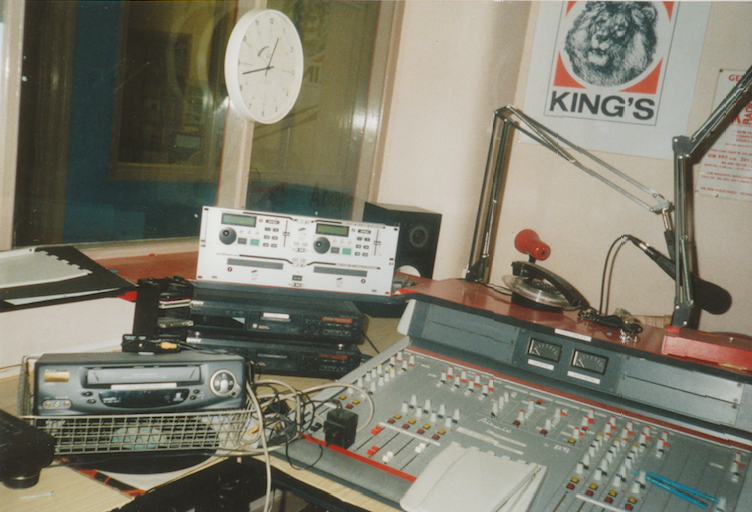 In 2000, I take over the running of Radio Kings. I become the station manager. I'm now the volunteer manager of a radio station that has two studios and thirty volunteers. After two years of presenting on FM radio, six months studying radio full time, and three years of volunteering and presenting, I decide to start training people in radio. This is where the birth of the Online Radio School is formed. I begin to start training all the Radio Kings volunteers in all aspects of radio. I implement a training schedule based on my H.N.C. radio course, begin a volunteer recruitment drive, and with help from a guy called Dan, we set up a dedicated fundraising team. It’s a very happy time for me. 2001: 4th BBC Application to be a studio manager is sent in. I’m massively depressed this time. I've now had over four years of hard-core radio experience, and yet for some reason, I can’t even make the short list for an interview. I’m beginning to think that not having a university degree is the main reason why my applications to the BBC are failing. To offset my oncoming depression, I decide to focus on providing the patients at Kings College Hospital the best radio experience they can get. I start putting in thirty hours a week at the station unpaid. I really up the training programme to include in depth presenter, reporter and newsroom training. Radio Kings now becomes an excellent training station. I work passionately on the station to take my mind off my own life, which is going nowhere. I’m now thirty years old, flat broke and I’ve been unemployed for four years now. 2002: 5th BBC Application to be a studio manager is sent in. Outcome: Shortlisted for an interview! This time, I spend two weeks researching interview questions. I also write out answers to the questions I imagine I will be asked. I record all my answers on tape. For the next ten days, I walk around listening to the answers on loop. I also study very hard about microphones and sound waves. I ace the BBC technical test and I pass all the technical questions (with a little help) from a friendly BBC studio manager called Peter. Next, it's the main interview. My prep pays off. Almost every question that I'd listened to on loop comes up in the test. I answer all the questions with confidence. One week later, I get a call from the BBC. I’ve made it in. I’VE EFFING MADE IT! Aaaaaaah!!! I rush out to the pub and get rather mangled! Five years of unemployment, five years of never giving up and five looooong and hard application forms later, I finally break in. I’m going to be a BBC Studio Manager! I stay at the BBC World Service for nine years, make some great friends and learn a lot more about radio. Note: In my BBC training group, there were eight of us. I was the oldest trainee at thirty, and I was the only one from that group that didn’t have a university degree. None of the other trainees had anywhere near the radio experience that I had. None of them had applied more than twice. The best lesson I ever learned throughout my five years of applying was..... never give up. Set your mind on your goal and keep moving towards that goal. Don't worry about how long it takes. You WILL make it; you just have to believe in yourself. Also, keep on working to improve yourself. Finally, you’ve got to have a passion for what you want to do. You've also got to have the drive never to give up. It killed me..but I made it. It will kill you, but you will make it. I manage the hospital radio station until 2005. I finally have to give it up due to the nature of my rolling shift pattern at the BBC. My training plan is responsible for three other volunteers breaking into the BBC as employees. This is something I am incredibly proud of. It begins to get me thinking about creating a radio training school one day. Radio Kings closes down in 2008. I feel gutted. I loved that station. I owe it so much on a personal and professional level. It literally saved my life in 2001. After nine years, I leave the BBC when redundancy comes. I realise that I have to retrain in video if I want to survive. For the next two years, I invest my redundancy money into education, and I study video production. I return to Lambeth College in 2011 aged 40 (now that was a strange feeling!) I pass a one-year City & Guilds Level 3 in Video Production. Two months later in 2012, I enrol on an MA degree in documentary making at University Royal Holloway. In 2013, I get an MA degree. It's a great feeling to finally have a degree. I live in Japan. It’s an amazing experience. I discover two amazing speakers online, Alan Watts and Les Brown. Both are very different; however, both affect me in a very profound way. Alan Watts in his video “What if money was no object” says: "If you say that getting the money is the most important thing, you will spend your life completely wasting your time. You'll be doing things you don't like doing in order to go on living, that is - to go on doing things you don't like doing, which is stupid. Better to have a short life that is full of what you like doing then a long life spent in a miserable way"
WOW! This quote really resonates with me. After hearing this, I decide to figure out some way of training people in radio. I discover the PowToons software. 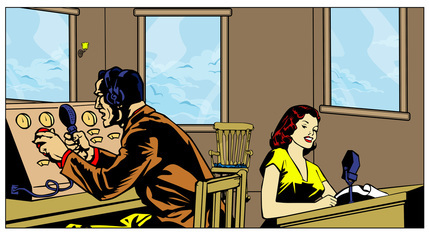 I suddenly realise I might be able to train people in radio and interviewing online. In August 2014, I begin work on my interview training course in Tokyo, Japan. I FINALLY launch my interviewing course. It takes four and a half months to create. It almost kills me. There are days I want to give up. There are days I can’t be arsed. However, I listen to Les Brown over and over again. His words drive me on to keep moving. It doesn't matter if it's only a small step each day. Finally, I launch the course. The feeling I get from finally completing the course is amazing. 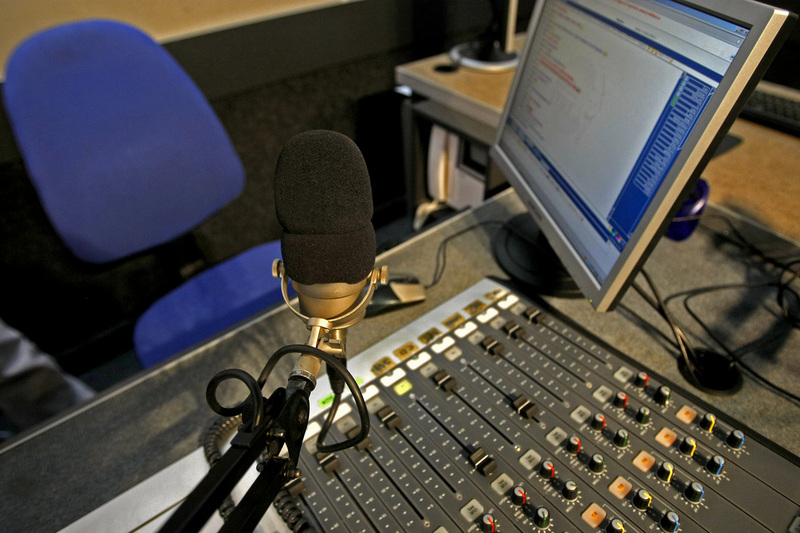 I launch my radio presenter course after six months. There are days I want to give up, days I can’t be arsed, days I want to eff it all off...but I listen to Les Brown over and over again. His words drive me to keep on moving. Les is the man! It kills me, but I launch my fingerpicking for guitar course. Ashley is an ex BBC, hospital and community radio trainer. He has a passion for beating good radio skills into naughty presenters. Many moons ago, he broadcast on four FM radio stations. 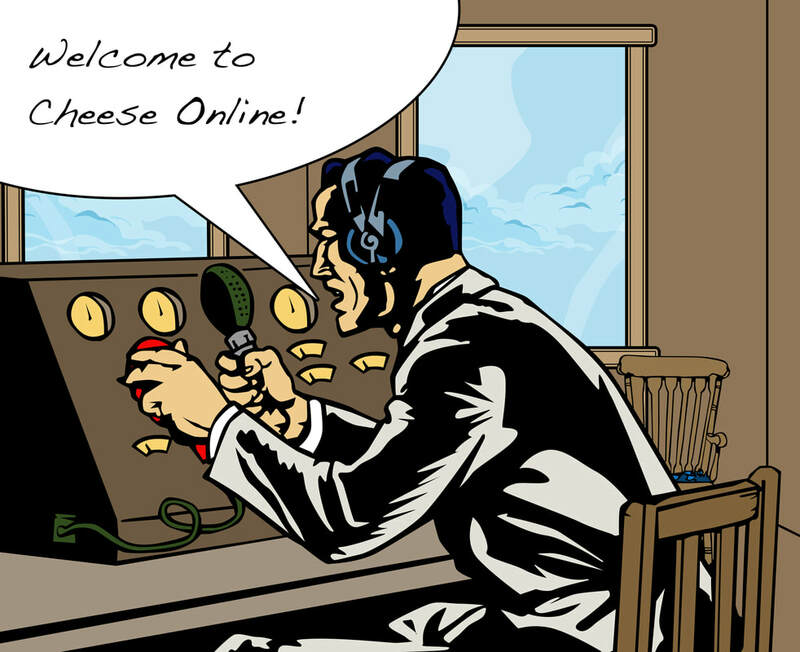 Ashley is on a mission to provide quality online radio training. He also believes that community radio is real radio because a) the DJs can programme their own shows and b) they help break new artists and support local music. To him, that’s real radio.